djkardkreations: QACAS Mocha Latte Coffee Madness! QACAS Mocha Latte Coffee Madness! I didn't expect to be here today. 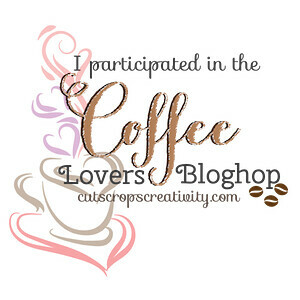 There I was just enjoying my morning coffee, basking in the glow of a warm and well-received NBUS Challenge when I received a deluge of blog post notices regarding a Coffee Lovers Bloghop taking place today on National Coffee Lovers Day! Perhaps the tea lovers have their own day? I hope so! Well, shucks, I sputtered. I had totally forgotten that a friend had sent me an invitation to join this hop several days ago via Facebook. I woke up the hamster, which is always risky. I won't go into it, but it's not pretty, especially after he was up late two nights in a row working with the Randoms. Talk about coffee drinkers, those two people must have it running through their veins!! And I mean quickly! I took a fresh piece of linen PTI paper from the hall linen cabinet and made a card base. I took a fresh piece of vellum from the curtain cabinet and embossed it with a NBUS Sizzix e/f after inking it with SU "close to cocoa" ink. The inking didn't really work so I then colored the vellum on the back with a Memento "desert sand" marker. I added a NBUS sediment from PTI "Scentimentals" and the coffee beans stamp is from Stamps by Judith. Okay, kids, it's a hop, so hop along. Here don't forget to take a biscuit . . . ! There are lots of prizes so run and make your own QACAS card!! I think my card quantifies for the current Less Is More challenge of "Mostly Words." 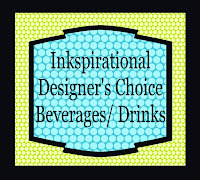 And thanks to a kindly whisper in my ear from a friend, I'm also entering this in the Inkspirational challenge where the theme is "Beverages/Drinks." I think this card is wonderful!! I love the soft color of it! I like the warm n subtle embossed look on vellum :) A fun quick but awesome card ! A super quick card, I love the sentiment. Fabulous make to say it was unexpected, it would have taken me all day to get an idea, let alone make the card. The image looks brilliant on the velum. What a great fast card you and the hamster whipped up Darnell! The inking and vellum look marvelous! I didn't hear around this hop? I must be on another planet lol! LOVE your card Darnell and happy Monday! This is gorgeous Darnell, I never would have known it was a 'quick' card! I love the way you have used the vellum and the sentiment is fabulous. Perfect card for the hop!! Never would have guessed that it was done last minute! Love it, Darnell! You never cease to make me smile! Monkey clapping is happening here. This is really very clever...I'm going to have to try the e/f trick...& soon. 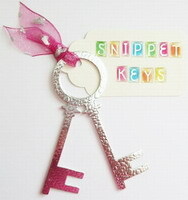 Love the embossed design and elegance. Great colors and cute sentiment on your quick card, Darnell. This is a fabulous coffee card! Hope you have a great day! Fabulous card. Love your CAS approach. What a fabulous card for Coffee Day. And a very happy National Coffee day to you my friend! I'm sitting here plugged into my IV of caffeine to keep the heart beating! LOL Fun card with a great sentiment too! Bottoms up now! Sometimes quick is best--LOVE this card, Darnell! I love your coffee card, Darnell! 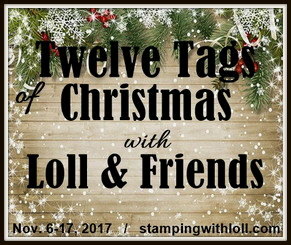 What a great way to use the vellum - I have not tried an embossing folder on vellum with inking - this looks fabulous! Something else I am going to try! Great sentiment too! You and Hammy did and awesome job! Love the soft feel of your card, love the sentiment too. 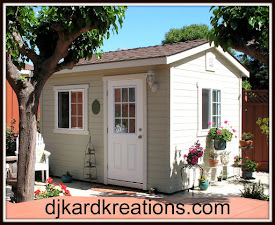 TFS and for the sweet words of encouragement you left in my blog. Big hugs! Great card! Coffee! Now you are talking my lanuage! Love coffee...too much! Hope you are having a good week! I love the soft effect of coloring the vellum. ah...so glad you did hop along. This is fabulous Darnell. FABulous Darnell, love the flourishes!! Lovely! The vellum looks fab! Biscuit in one hand, coffee in the other...crafting typing happening here! Your card: stunning! QACAS splendor, especially the linen closet paper, curtain vellum and perfect 'coffee' coloured inks. Love this, my friend!! sitting here with my 2nd coffee and reading all News... what a great fun and exclusiv invation -- thanks for it. Loving your coffee card Darnell !! What a great card for a list minute effort. Love that you hid your brads in the beans! Fab card!!! Hope you enjoyed the coffee lovers' day!!!! I'm a day behind but better latte then never (did you see what I did there, lol? )You always have stash to suit every occasion, you lucky girl. Super card as usual so all hail to you and Hammy! Yum! This is so sweet! Way to keep at it until it worked, Darnell! Love the card, but that little coffee bean stamp from Judith is a very favorite of mine. It turns into the cutest critters you have ever seen! Really like the effect vellum had on this card; your creative mind continues to work just great even on lack of sleep. Thanks for the biscuit! Neat card and even neater embossing folder. 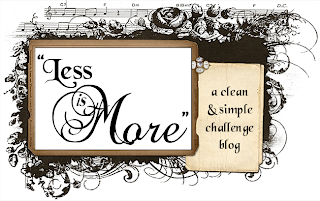 When are you going to take a break from this mad mad world of blogging? Hmmm.... love the scent of coffee in the making! Lovely work! Must be the neutrons in your brain rapid firing when you're rushed 'cos this is inspired !!! I love reading your blog - always brings a smile to my face. I'm still chuckling at the idea of the card stock in the hall linen cabinet and the vellum in the curtain cabinet. Hmmmm simply yummy and CAS Darnell with a gorgeous little sentiment. LOL risky to wake the hamster. Funny and such a cute card. 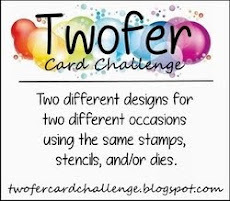 What a fun card that you've whipped up! love the vellum and inking! ...and I could just do with another cup right now... couldn't live without coffee... and with friends... perfect! Darnell you and hammy really rocked this challenge, I can almost sense the caffeine in your card! Great card! I felt the same way but never found the time to make one. Yours is gorgeous! I wish I could get down on the floor - it would be too painful for me! Happy WOYWW, wishing you rainbows. What a super fabulous card - love how quickly it same together too! What a fun technique and such a cool outcome!! Love the swirls they are my favorite!! Have a most awesome day!! Yes I so agree...coffee and friends are the perfect blend. I love your card, so sweet. This is a very elegant coffee card. I LOVE the effect of your double dipped velum images! Looks quite similar to the yummy froth on a fresh brewed latte! Definitely going to score some pretty high marks in the bloghop gallery!